1. 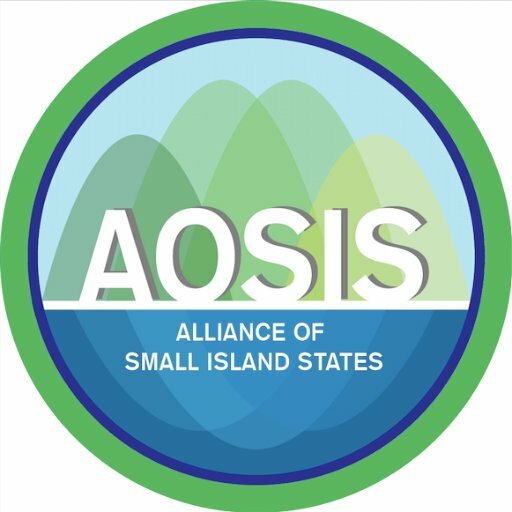 I have the honour to deliver this statement on behalf of the members of the Alliance of Small Island States (AOSIS). AOSIS aligns itself with the statement delivered by the distinguished representative of the Kingdom of Thailand on behalf of the Group of 77 and China. 2. Firstly, Mr. Chairman, we wish to thank the Secretary-General for his report on this agenda item, and also the Joint Inspection Unit for its recommendations. In addition, we take this opportunity to thank the Independent Team of Advisors for their inputs to the ECOSOC Dialogue on the longer-term positioning of the UN Development System, which certainly gave food-for-thought, on how the United Nations development system should adjust and position itself in order to address the objectives set out in the 2030 Agenda for Sustainable Development. 3. Mr. Chairman, it is one year since we have set an Agenda that is not only universal in its scope but one that mandates an integrated approach in order to achieve the type of sustainable development that would: eradicate poverty in all its forms; provide a better world in which its citizens can thrive in an environment that is conducive to their overall and collective benefit; and last but not least, address our collective and individual wellbeing and development to ensure no one is left behind. 4. It is in this vein, that SIDS as a special case for sustainable development, remains committed and is seized with the matter as to how best to strengthen the UNDS operational activities for development so that it is better positioned to deliver the type of effective, efficient, coherent and impactful assistance SIDS require in order for us to fully implement the 2030 Agenda, with the SAMOA Pathway as the blueprint for our development. 5. As has been reiterated again and again, the new Agenda requires a change in the mindset of all players - Governments, the United Nations System and the overall international community, for the successful achievement of the 2030 Agenda. SIDS believe that we all must do our part in an effort to contribute to the collective good of the process. 6. This, Mr. Chairman, brings me to the current focus on the Quadrennial Comprehensive Policy Review (QCPR) resolution, which against the backdrop of the new Agenda must provide the type of strategic guidance to the System in what is required for the full implementation and realization of the huge Agenda we have together pledged our fullest commitment. Ø Adjust its mindset and operations to reduce and ultimately eliminate the unnecessary competitiveness between and within its entities, which inhibits the ability of the system to operate at its optimum. The System has to be able to skillfully utilize all its diversities to deliver service in an efficient, effective, coherent, coordinated and cost effective way. Ø Be flexible in an effort to address the diversities of the universal and integrated dynamics of the new Agenda, noting that there is "no one size fits all" approach. Ø Develop as a matter of urgency a system-wide mapping of its existing capacities and expertise in an effort to identify gaps and overlaps, and to establish ways and means of addressing them to promote synergy and avoid fragmentation. 8. Mr Chairman, SIDS have established that genuine, durable partnerships, which are based on mutual respect with mutual benefits, play an extremely vital role in SIDS' realization of the 2030 Agenda, and so we continue our call to the United Nations System to help facilitate and enrich this sort of engagement. 9. In this regard, we wish to highlight the importance of South-South and triangular cooperation in the policies and strategic framework of funds and programmes of the UNDS operational activities for development. However, on the clear understanding that these cannot and will not replace North-South cooperation, as the latter should continue to remain the primary means of development cooperation. 10. Finally, Mr. Chairman, SIDS will continue to have keen interest in (or remain seized with) the ongoing discussions on enhancing system wide coherence, and the positioning of the UNDS, as we see this as critically important to our implementation of the Agenda and our overall development. 11. We appreciate the zeal and high interest various entities of the UN Development System have shown, and we welcome their efforts to reach out to member states for support. However, we must ensure that the bigger picture is kept in focus to ensure that development is addressed in a coherent and sustainable manner, and where through transparency and accountability with Member States, enables them to work in concert to achieve the 2030 Agenda, and for some developing countries like SIDS, the various other specific Programmes of Action, such as the SAMOA Pathway.